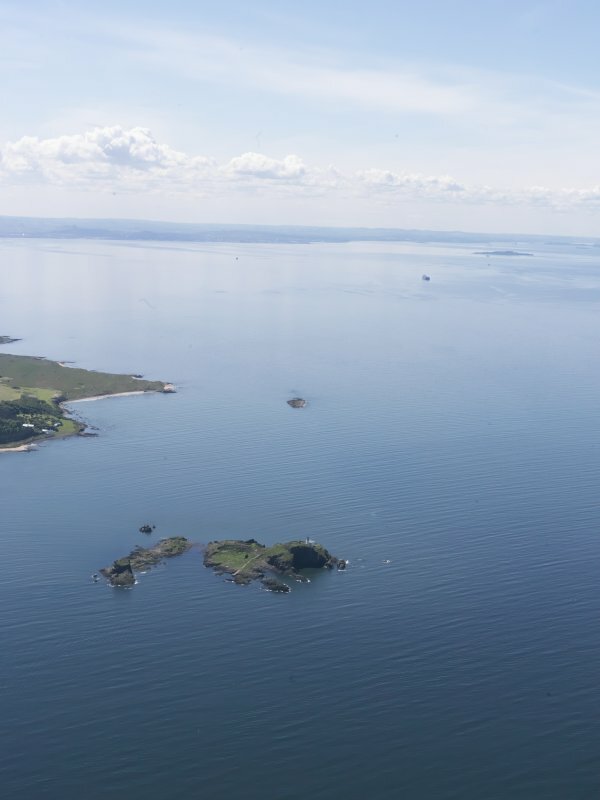 General oblique aerial view of the River Forth centred on Castle Tarbet, Fidra, taken from the E.
Oblique aerial view of centred on Fidra, taken from the SW.
Oblique aerial view of centred on Fidra, taken from the WNW. 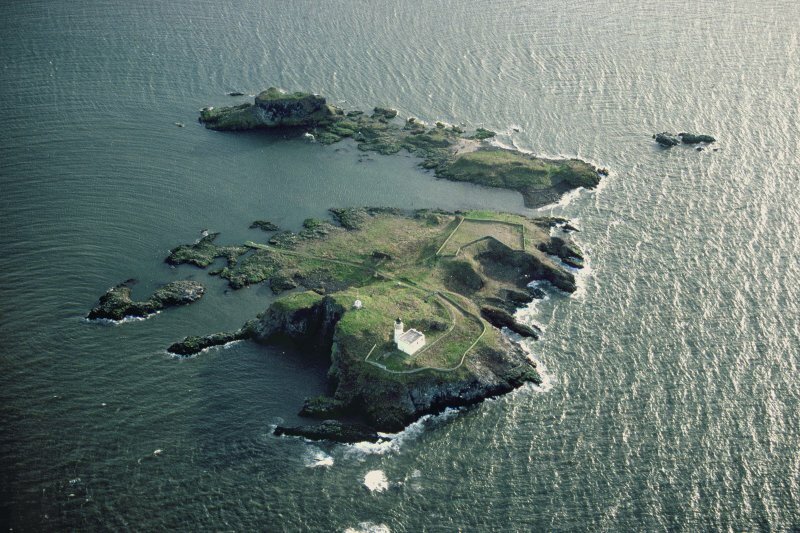 Oblique aerial view of centred on Fidra, taken from the NW. 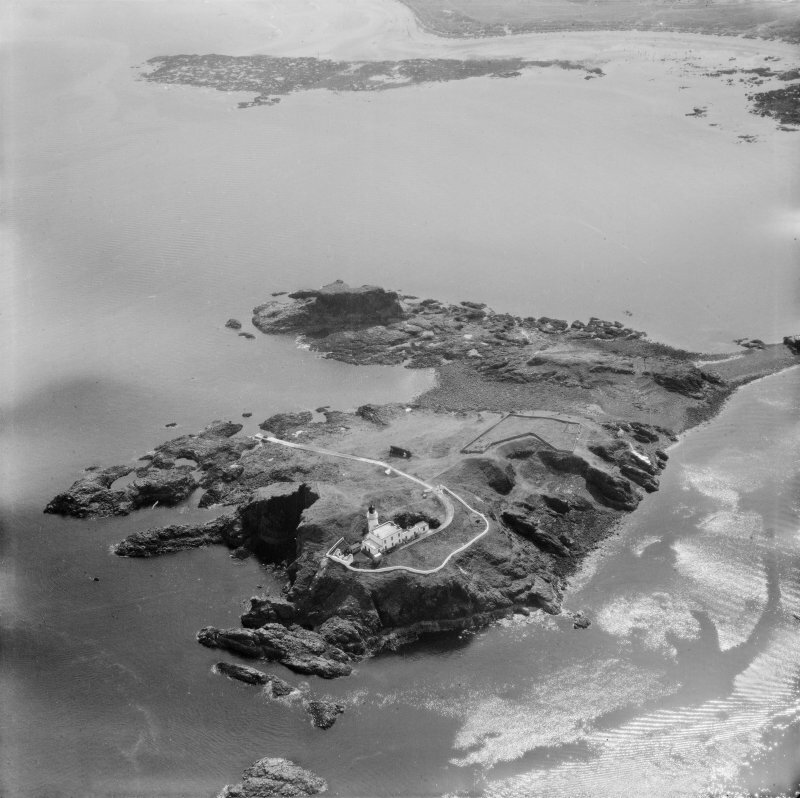 Oblique aerial view of centred on Fidra, taken from the NNW. 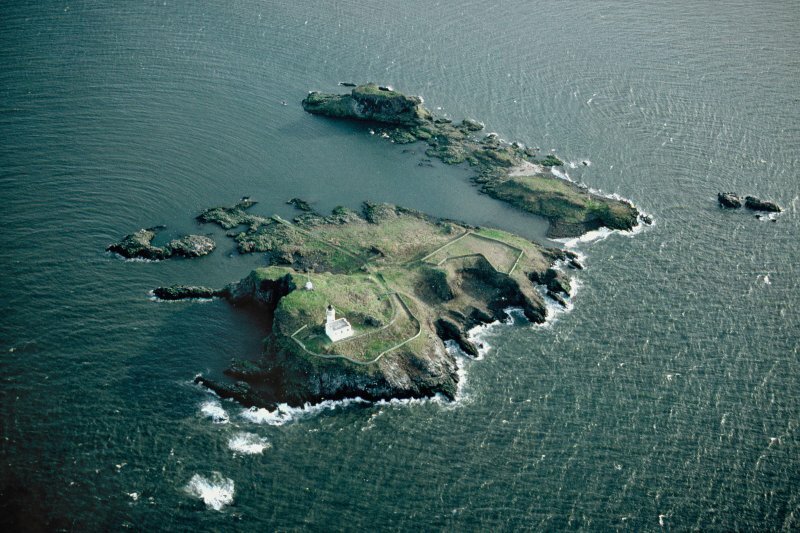 Fidra Lighthouse, oblique aerial view. 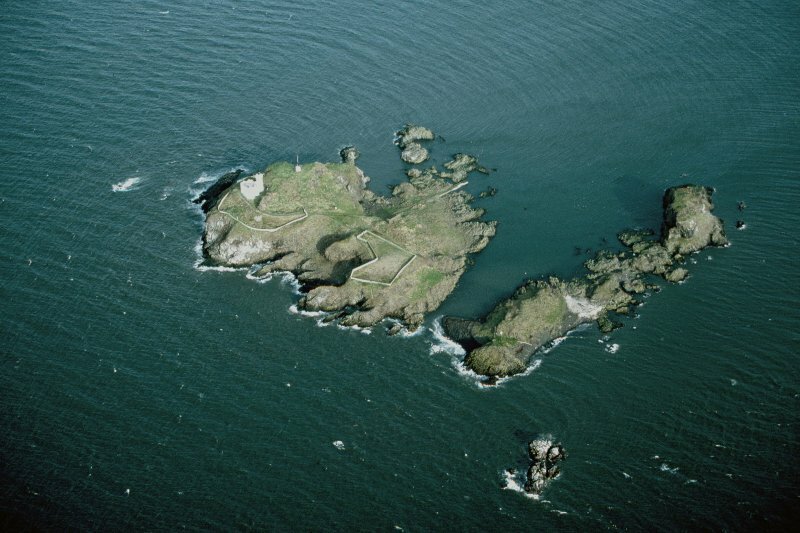 Oblique aerial view of centred on Fidra, taken from the SSW. 'Castle Tarbet', Fidra. 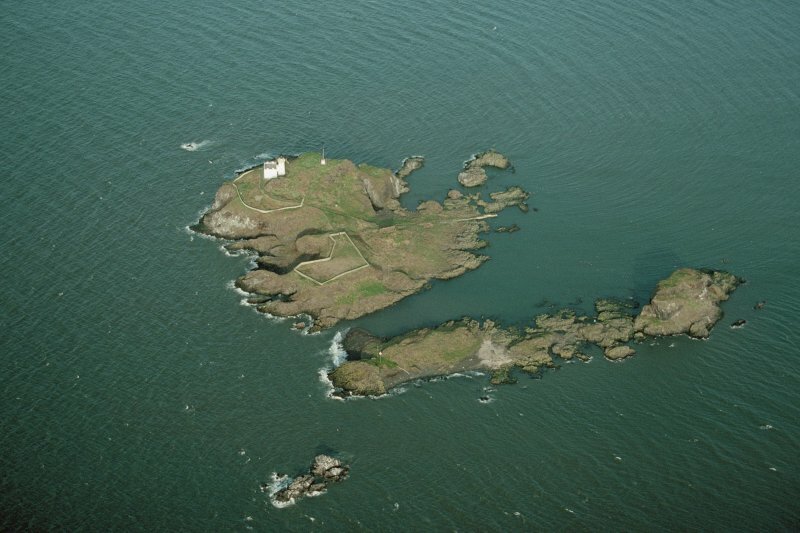 A rocky arm projects towards the SE of the island, from which it is separated at high tide. It terminates in a flat-topped columnar rock, rising some 40ft above high water mark. A rough track leads round the face of this rock and winds up to the summit on the E. Along the one side of this track, as it mounts to the summit, are remains of a mortar-built wall, which has probably formed a parapet. On the summit there are no visible remains of buildings, though there are suggestions of foundations. A castle was known here in 1220 and 1621 as the 'old castle' of Eldbottle. The site of this castle is as described. 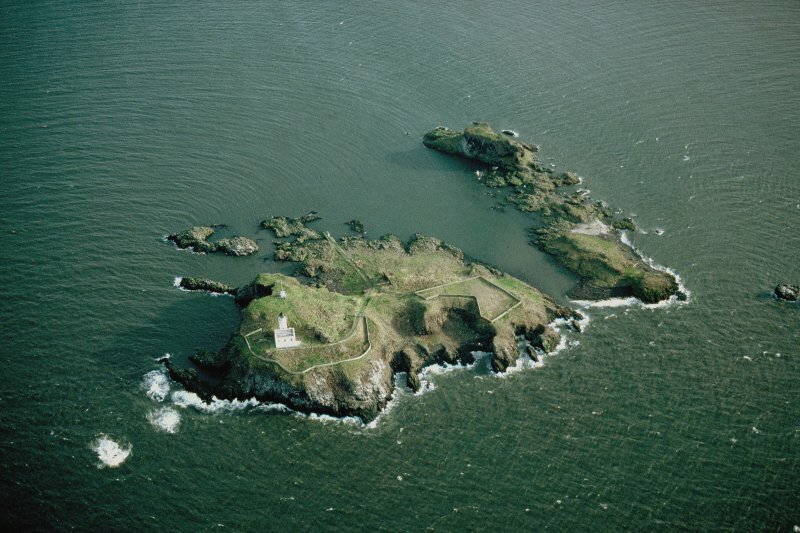 The summit, 40.0m long by 8.0m wide in the centre, and 16.0m at the E end, has no trace of foundations, except for the mortared stretch 6.0m long. Visited by OS (JLD) 14 May 1965.